Recently, the team at MBA Rendezvous got the opportunity to meet with Professor Manoj Pant, Director and Professor of Economics at IIFT, New Delhi. He spoke to the team about the new MA (Economics – Specialisation in Trade & Finance) course launched by IIFT for the academic year 2018-20. Students interested in a career specialising in finance and trade can check out the details of the program here - Prospectus (MA Economics - Finance & Trade). Team MBA Rendezvous : With MA Economics, how students are likely to be equipped with specialised knowledge in International Economics and Finance thereby to come up with practical utility. Professor Manoj Pant : The MA (Economics) is not a new program and the one that we offer at IIFT is a standard program. Thus it qualifies students to apply for all programs/avenues that require a MA (Economics) degree in and outside of India. Having said that, one would wonder how is this different then? Well to iterate, we must understand that unlike the rest of the world, where the economics and management faculties are converging, in India it is not like that. Having come from an Economics faculty, I have knowledge of the graduate and post graduate economics programs at DU (being an alumnus), JNU, IGIDR and ISI. At IIFT, we have a special focus on the aspect of trade, which other courses offered at different places do not have. Mostly focus on agriculture studies, planning and development or poverty. The second factor that is unique only to our program is that our special focus is on finance. Because at IIFT we understand that there is no trade without finance, we offer a small yet unique compulsory course on financial accounting (offered only at IIFT) which helps our students understand the correlation between trade and finance. Thus, this program is called MA (Economics -Specialisation in Trade and Finance). Coming to the practical utility of the course, the advantage we bring to IIFT and this course is that we have a strong management program with a strong finance faculty. We also teach our students about the Indian Supply Chain and Logistics. To explain using a simple scenario, we say we need to export textiles. How do we do that? How do we take it to the port, what are the transaction costs and transportation options? What is the port logistics involved? How do we optimise the cost? Our faculty teaches the practical aspect of trade along with the technical aspects. We talk about optimisation, how to minimise transaction costs (which most programs do not teach). We have a readymade inbuilt faculty who are specialists in the area of supply chain logistics. We are able to pull on our finance, management and supply chain faculty to teach the students about the practical aspects of trade, in short ‘how to do trade’. For example in China they teach you how to do trade but do not tell you the issues of trade theory. So we combine the practical with technical knowledge. Our students are ready to join the corporate world as specialist in various fields as part of this MA (Economics – Specialization in Trade and Finance) program. An example that comes to my mind is port logistics. This field requires a fair amount of knowledge of mathematical tools which are taught as part of the program for e.g. optimisation, best transportation model to use etc which our course offers. Team MBA Rendezvous : How students of MA (Economics) are transformed to become policy makers and key strategists on trade issues ? Professor Manoj Pant : As part of the MA (Economics - Specialisation in Trade and Finance) we train our students to be well equipped with technical knowledge about trade policies, optimisations and various technical indicators which help our students ask the right questions and find best suitable answers to their problems. They are conditioned to give step by step solution to challenges faced by companies and industries. Our students could be joining the public sector, commerce ministry, corporate sector or stay in research. Where ever they may be, they are well trained to understand how trade policy making takes place and they can be world class policy makers and trade strategists themselves. Team MBA Rendezvous : In MA Economics, how IIFT manoeuvres pedagogy so that students can understand WTO issues and solutions ? 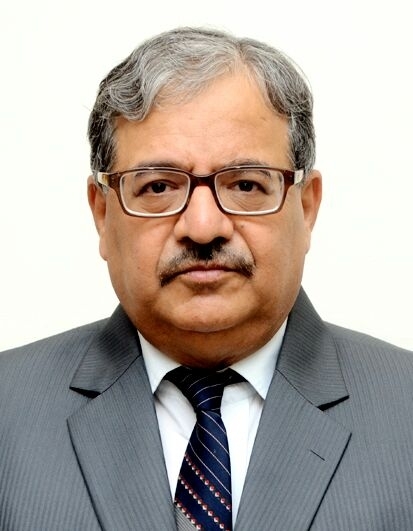 Professor Manoj Pant : Apart from the main management program at IIFT, we have three divisions that are funded directly by the Ministry of Commerce under the title of CRIT (Centre for Research in International Trade). These are – Centre for WTO Studies, Centre for Regional Trade and Centre for Trade & Investment Law. All the divisions are in context of WTO. So we do not really need any external faculty in order to give any practical knowledge to our students regarding WTO e.g. knowledge about issue of standards regarding trade. We have a readymade faculty with well funded centres who can come and give the students lecture about the required topics. Coming to the pedagogy part, there are teachers who teach about the theoretical aspect, but for learning about the practical aspect of WTO is where these centres come to our advantage. There are very few centres and universities across India that can provide an insight on the working of WTO as much as we can at IIFT. On a regular basis, there is a continuous flow of seminars and conferences that keep taking place in our campus which also benefit our students. Team MBA Rendezvous : With MA Economics, how students prepare to face challenges in competitive business environment glocally ? Professor Manoj Pant : An MA Economics program is meant to do two things- give students a good understanding of the private sector, if that is what they want to join or move into the research field. This course helps students specialise in area of trade and finance and let them choose either research and join our PhD program and/or become teachers apart from joining the corporate sector as specialists. Students are trained to solve the real world problems with in depth technical and practical knowledge. This helps them to prepare for challenges in today’s competitive business environment glocally. Professor Manoj Pant : Any economics program has quantitative elements and requires some basic knowledge of mathematics. Even a seemingly non mathematical subject like supply chain logistics needs those skills. Although as part of the MA (Economics – Specialisation in Trade and Finance) program we do teach maths skills, but I would say if you are not fond of numbers and formulae then this course is not meant for you. There are two reasons for this - all tools require mathematical skills and any good article or journal you read on trade and finance requires the knowledge around maths. Although we are trying to make this as not a very mathematical course unlike other MA Economics programs that are offered, yet you need some basic mathematical skills and interest.